From time to time visitors drop in and new people join us. When they are unfamiliar with our spiritual heritage, the question arises, “What kind of church is this?” There are several ways to answer this question. One of the best was reprinted in the original "Look to the Future" document. We reprint it again below. 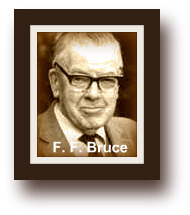 Professor Bruce was a New Testament scholar who was associated with brethren assemblies throughout his life. He spoke at Bethany’s Missionary Conference in the 1970s. The Brethren, or ‘Christian Brethren’, are given this name because they prefer to be known by a designation comprehensive enough to embrace all their fellow Christians. There are two main groupings among them, commonly described as ‘Open Brethren’ and ‘Exclusive Brethren’. The terms ‘Open’ and ‘Exclusive’ are intended to denote their respective principles of communion. These pages are concerned only with the people called ‘Open Brethren’; the writer has no authority to write about his ‘Exclusive’ friends. It may be useful to make one point in this connection, however. In the early 1960s considerable publicity was given in the press to the withdrawal of a number of people called Brethren from various business and professional associations, and from universities. These people belonged to one section only of Exclusive Brethren, and their policy in such matters was not shared by other Exclusive Brethren, and still less by Open Brethren. This distinction has not always been clearly observed, and the result has been considerable confusion in the public mind. The Open Brethren have no central organization. They belong to a large number of local churches or assemblies, spread throughout the British Commonwealth, the United States, the European continent and many other regions. Each of their local churches is independent so far as administration goes; there is no federation or union linking them together. Yet there is a recognizable family likeness between them, and their sense of a spiritual bond is strong. The Brethren movement originated around the year 1825, although the Brethren commonly insist that their roots are really in the apostolic age, for they aim as far as possible at maintaining the simple and flexible church order of New Testament times. In the earlier part of the nineteenth century the barriers separating the various Christian denominations were less easily surmounted or penetrated than they are today. 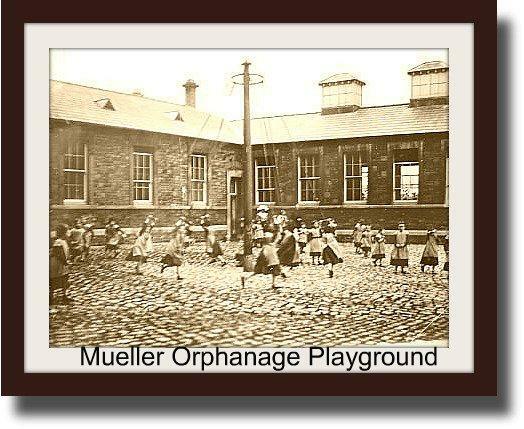 The founders of the Brethren movement were a group of young men (many of them associated with Trinity College, Dublin) who tried to find a way in which they could come together for worship and communion simply as fellow Christians, disregarding denominational barriers. They had no idea that they were starting a movement; still less had they any thought of founding a new denomination, for that would have defeated the very purpose for which they came together. For a time some of them continued to be members of their original churches, in which indeed a few of them were ordained ministers; but in general this situation did not remain practicable for long. One of their early leaders was a Church of Ireland clergyman named John Nelson Darby (1800-1882), a man of unusual strength of intellect and personality, who envisaged the establishment of a corporate worldwide witness to the unity of the Church of Christ in an age of ecclesiastical fragmentation. His views were perpetuated by the Exclusive Brethren rather than by the Open group; when the cleavage between the two took place in 1848 it was to those who sided with Darby that the name Exclusive Brethren was given. From Dublin the movement spread to England. In England the first Brethren assembly was established at Plymouth in 1831; hence arose the popular term ‘Plymouth Brethren’. Two leaders of the Brethren’s meeting at Plymouth, Samuel Prideaux Tregelles (1813-1875) and, in a lesser degree, his relative, Benjamin Wills Newton (18071899), were responsible for one of the best critical editions of the Greek New Testament to be produced in England in the nineteenth century. 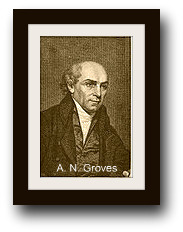 George Mueller’s brother-in-law, Anthony Norris Groves (1795-1853), has claims to be regarded as the first of the ‘Open’ Brethren. He gave up a dental practice in Exeter to become a pioneer missionary, first in Baghdad and then in India. He was a man of large-hearted sympathies, who never forgot that the things which unite Christians are immeasurably more important than the things which divide them. ‘I would infinitely rather bear with all their evil’, he said of some people with whom he seriously disagreed, ‘than separate from their good.’ Whether those features which he thought to be evil were so in fact or not, his words express the attitude which Open Brethren acknowledge as their ideal. The Brethren missionary movement launched by Groves continues to the present time in every continent, and over a thousand missionaries are engaged in it. Some Brethren missionaries have been pioneers in more senses than one. Among these were two Scots, Frederick Stanley Arnot (18581914) and Dan Crawford (1870-1926), who explored uncharted areas of Central Africa. Brethren missionaries are located principally in Central Africa, India and Latin America; they co-operate with other missionary bodies in the practice of mission comity. Their work is registered under the designation ‘Christian Missions in Many Lands’. So far as their doctrines are concerned, Open Brethren have no peculiarities. They hold the historic Christian faith, because they find it plainly taught in the Bible, which is to them, as to all children of the Reformation, ‘the only infallible rule of faith and practice’. They are wholeheartedly evangelical in their understanding and presentation of Christianity, proclaiming Jesus Christ, the Son of God, as the all-sufficient Saviour of those who put their trust in him and as the only hope for mankind. For this reason many of them find it especially easy to co-operate in Christian witness with others who share this evangelical emphasis, and in many interdenominational evangelical causes their influence is greater than their numbers might lead one to expect. The beginnings of the Brethren movement were attended by a keen interest in the fulfillment of Biblical prophecy, and many of them are still characterized by this eschatological awareness. Their hymnody gives quite a prominent place to the Second Advent of Christ. But no single line of prophetic interpretation is held or imposed by them. Indeed, one of the features which many people find attractive about their fellowship is the spiritual and intellectual liberty which is enjoyed there in an atmosphere of brotherly love. It is practice rather than doctrine that marks them out. Among Open Brethren baptism is administered only to people who make a personal confession of faith in Christ, whether they are adults or children; and the mode of baptism is immersion. They observe the Lord’s Supper every Sunday morning (and occasionally at other times), and hold that the Lord’s Table is for all the Lord’s people. This, in fact, is their most distinctive gathering. 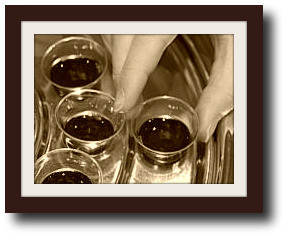 When they meet for communion, together with any Christians who care to join them for this occasion, their devotions are conducted by no presiding minister and follow no prearranged sequence, but are marked nevertheless by a reverent spontaneity and orderliness. Various members contribute to the worship by suggesting hymns to be sung, by leading the congregation in prayer and thanksgiving, or by reading and expounding a passage from the Bible. The Brethren have no ordained ministry, set apart for functions which others cannot discharge. A considerable number do give their whole time to evangelism and Bible teaching, but are not regarded as being in clerical orders. The various local churches are administered by responsible brethren called elders or overseers, but these have no jurisdiction outside their own local churches, and inside them they try to guide by example rather than rule by decree. The Brethren have always manifested a supreme lack of interest in their numerical strength. Their numbers are difficult to assess, partly because no precise statistics are available and partly because there is no hard-and-fast line of demarcation between Brethren assemblies and other independent evangelical churches. A common estimate of their strength in Great Britain and Ireland is 100,000; but this is at best approximate. They are to be found in all grades of society and in all walks of life. “Who are the Brethren” first appeared as an article in The Witness, November 1961 was then issued as a pamphlet. It has now been slightly revised and brought up to date. This edition was published as an appendix to Dr. Bruce’s “In Retrospect: Remembrance of Things Past.” Published 1993 by the Baker Book House.